Do You Make These 8 Big Mistakes In Your Deviation Investigations? Clearly, many organizations have room to improve in the writing and managing of deviation investigations. The following sections identify common missteps companies make when conducting deviation investigations — and how you can avoid them. The information gathered over time through investigations contains a wealth of data that can be used for continuous improvement, increasing productivity, and reducing the recurrence of investigations. Unfortunately, many organizations only review this data once a year and in a somewhat perfunctory manner. A good trending process is an important element in monitoring and proactively responding to developing issues. Tracking investigation data (root cause, functional group, unit operation) will aid in continuous monitoring of the types of events and root causes occurring in your facility by product, process area, and functional group, among others. Develop a list of standard event categories and actionable root causes in order to trend deviation and investigation data. This list can be upwards of 200 or more and can aid investigators in writing their root cause in actionable terms. This is a common finding that regulatory authorities will cite in their observations. Repeatedly stating human error as a root cause is a sign that your organization is not interested and/or resourced to find true root causes and to correct the underlying issues behind recurrence. Human error can be a root cause category, but rarely is it the true and actionable root cause, in and of itself. The true root cause is usually in other areas, such as procedures (“step x.x unclear”), training (“wasn’t assigned training on procedure since SOP was not on training curriculum”), environment (“distraction due to false fire alarm”), or machine (“improper equipment design and layout”). It is important to find a true, underlying root cause and to describe it in actionable terms to prevent recurrence and reduce the number of future human error-related events. Such events cost the industry a staggering amount in terms of lost productivity, compliance and labor costs, and the human resources needed to investigate nonconformances. The average cost of a deviation runs into tens of thousands of dollars for major pharmaceutical companies. Preventing human error recurrence not only saves organizations money, but it reduces the likelihood of compliance issues, including regulatory findings. Some quality systems will not allow human error to be used as a root cause, in order to prevent the organization from stopping short of identifying and addressing the true root cause behind errors (see error #3 below). For example, in many (but definitely not all) human error events, the employee involved could have detected the error prior to it becoming a deviation. Therefore, “inadequate ability to detect the problem” could be the actionable root cause in such situations. The resulting CAPA (corrective and preventive action) would be counseling or additional training that focuses on increasing the person’s ability to detect and fix an error, or other job aids or improvements in the HMI (human machine interface) that will allow operators to better detect problems in time to prevent a deviation. Counseling just on “paying attention to detail” or on “the importance of GMPs” is not specific or adequate as a standalone CAPA. If someone doesn’t understand the importance of GMPs, they shouldn’t be working in a GMP environment — and they definitely need more training. The percentage of investigations resulting in a root cause is a good metric for the health of your quality system — the higher the percentage, the better. There are many reasons why root causes are not found. Not committing adequate time and resources is one. However, it is all too common for organizations to put in sufficient effort, gather all the necessary facts and information, but still fail to identify a root cause. Sometimes, this is the direct result of the investigator’s skill — they may have been trained insufficiently or lack technical command of the issues involved. However, it is also surprisingly common for an investigation to conclude that a “definitive” root cause could not be identified, despite the fact that all the necessary information is available and the conclusion is readily discernable. A misguided interpretation of the facts or an unrealistic notion of definitive can prevent the investigation from arriving at a most probable root cause. There is no regulatory standard that requires all investigation conclusions be definitive. A most probable root cause based on and justified by a thorough investigation and supported by the available data and information is sufficient. The proper RCA (root cause analysis) tool should be chosen for the problem at hand. For more difficult investigations, a Kepner-Tregoe or IS-IS NOT analysis can often tease out a challenging most probable root cause from an array of discordant facts. Finding the true root cause is critically important. There have been many cases where organizations failed to identify and correct the true root cause of a problem that was readily solvable — and they suffered millions of dollars in losses (or worse) as a result. The true root cause is an actionable one that is the most consistent with the available facts and information from a thorough investigation and can be the most probable root cause mentioned above. A true root cause is the underlying reason that allowed the event to occur. Understanding the true root cause requires the collection of all relevant facts. Sometimes, these are clearly understood at the time of the event. Other times, it requires in-depth technical assessments that can span several months. One good test for assessing if the true root cause has been found is to see if it can be stated in terms that are directly actionable, meaning it links clearly to a corrective action and is within the organization’s control. A simple and effective way to determine if the true, actionable root cause has been found is to use the 5 Whys tool at the conclusion of an investigation, including application to the outputs from more advanced tools, such as a fishbone diagram or Kepner-Tregoe analysis. For example, failure of the backup power supply is not a true, actionable root cause. Why did the back-up power supply fail? Hurricane Matthew cannot be listed as an actionable root cause, because the organization cannot prevent hurricanes. However, an inadequate procedure for preventative maintenance of the backup power supply can be a true root cause, in which case the corrective action is to fix the procedure. Many investigation writers forget that their audience is not only internal employees, but ultimately an external third-party, such as an inspector. Thus, the investigation needs to be readily understandable and clear, with all the necessary supporting facts and rationale, so that it is comprehensible years after the event. The most difficult challenge in accomplishing this is writing logically, clearly, and succinctly, without presenting and repeating redundant information. Thus, training is an important element of writing effective investigations. Having mentors available to assist investigators can be an important element in advancing skills. Contributing factors are elements that either were necessary — in addition to the root cause — for an event to occur, or that increased the event’s impact. Contributing factors also require root cause determinations and CAPAs. Addressing them limits the likelihood or impact of similar events recurring in the future. Too often, investigations focus only on the root cause and forget to address contributing factors. Use of the 5-Whys tool is a useful mechanism to distinguish contributing factors from root causes. Too many investigations lead to an appropriate root cause but never link that cause to a CAPA. Most root causes and contributing factors should be associated with one or more CAPAs; if not, a clearly justified rationale should be provided. One of the main purposes of an investigation is to prevent recurrence of the event, and this can only happen if the investigation determines a root cause and connects it to an appropriate, effective CAPA. Another consideration is whether or not an interim control is needed while the CAPA(s) is being implemented. A risk assessment should be used to make this determination. Too many investigations fail to obtain information from the employees with the most relevant insight and information surrounding the event, either because the interviews are never conducted or they occur too long after the event. Memories fade quickly, so interviews should be conducted as soon as possible after an event occurs. Some organizations “swarm” an event immediately after it happens, with a team conducting interviews. This is called “freezing the scene.” Gathering high-quality information soon after the event will save you future time and effort, and improves the quality of the investigation. Talking to key personnel using well thought-out interview questions prepared in advance, when applicable, will make the interview more useful and insightful and the investigation much more efficient. 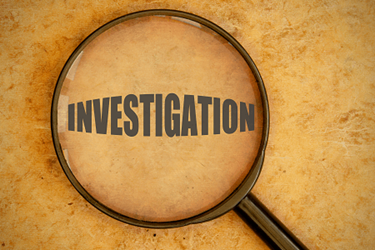 The essential details of interviews should be summarized in the investigation. While conducting a thorough deviation investigation is hard work, failing to do so will yield inaccurate root causes and misdirected CAPAs, and recurring deviations, along with increased regulatory and financial risk. The payback from investing in deviation investigations comes in the form of improved operational performance, reduction in costs, increased quality, and improved compliance. James Blackwell, Ph.D., is the founder, president, and principal consultant of The Windshire Group, LLC. He has been a prominent industry consultant for over 10 years, working on a wide variety of CMC (chemistry, manufacturing, and controls), compliance, and quality issues for a broad range of companies, investors, and product types. Prior to consulting, he held several senior positions in technical operations, manufacturing and process development for industry leaders including Abbott Laboratories (Abbvie), Genzyme, and Repligen. Dr. Blackwell has been active in industry professional organizations including ISPE, AAPS, RAPS, and PDA, and is a frequent invited speaker at industry events. He received his doctorate in chemical engineering from Northeastern University, a dual MBA/MS in technology management from the University of Maryland, and a BS in chemical engineering and MS in microbiology from The Ohio State University. You can reach him at info@windshire.com or connect with him via LinkedIn.